Courtney Antipas (f.k.a Ill Ceey) has to be one of the hardest working CHH artists of the the moment. After dropping LWSOM2 earlier this year, he is already preparing for his next full project, Vigilante. He recently dropped GWAD, which I assume to be the first single off his forthcoming album, Vigilante, produced by T-Collar. It's always refreshing when Christian Hip-Hopp sticks to its main message, rather than blurring the line with braggadocio raps synonymous of its secular "brother". Salute out to Mr. Antipas for continuously raising the CHH flag high. 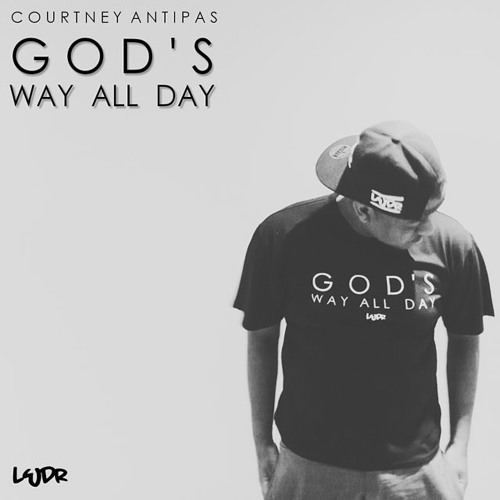 Stream and download God's Way All Day below.